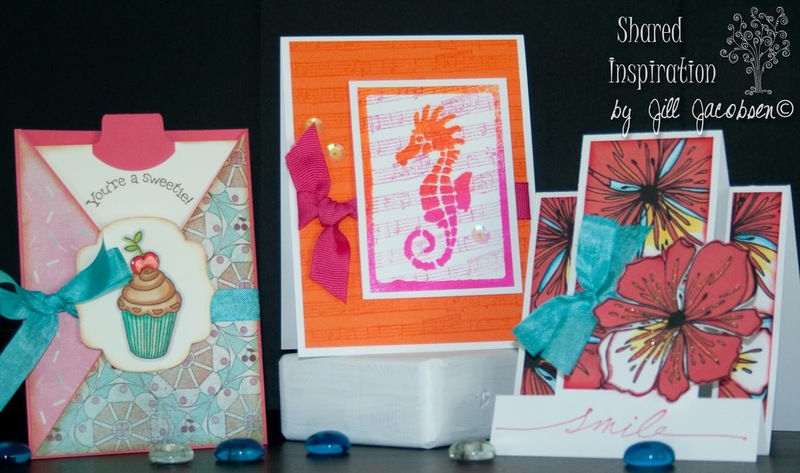 I have my first class as Shared Inspiration listed at the Latte Luna Coffee Bar listed! I'm so excited to get out there and share! Check out the details and reserve your seat here. 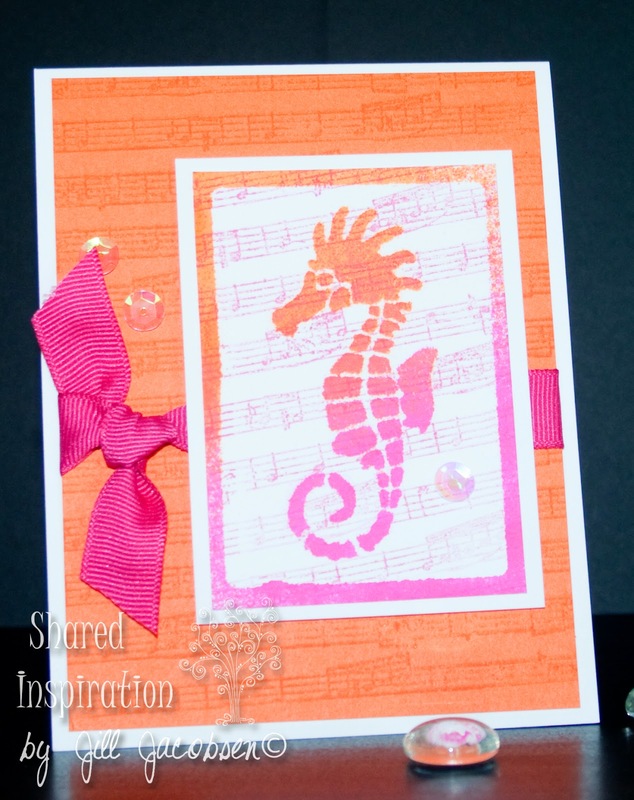 The first card is bright and summery...featuring the Dreamweaver Stencil and Dylusions Sprays. 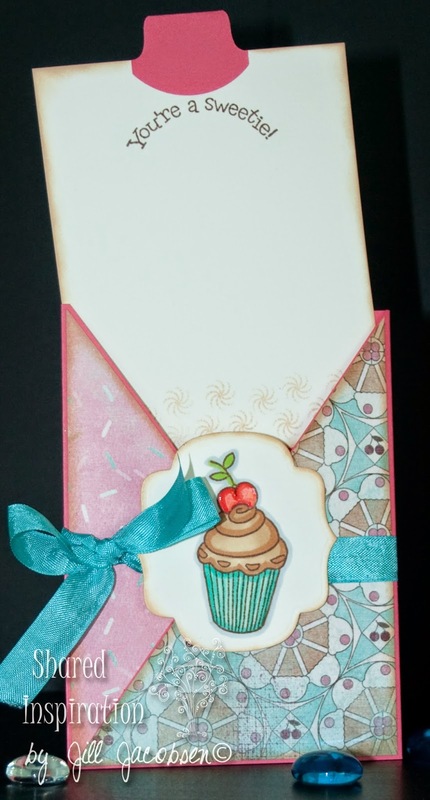 The second card is using a rubber stamp set from Sparkle N Sprinkle and a fun triangle pocket card. 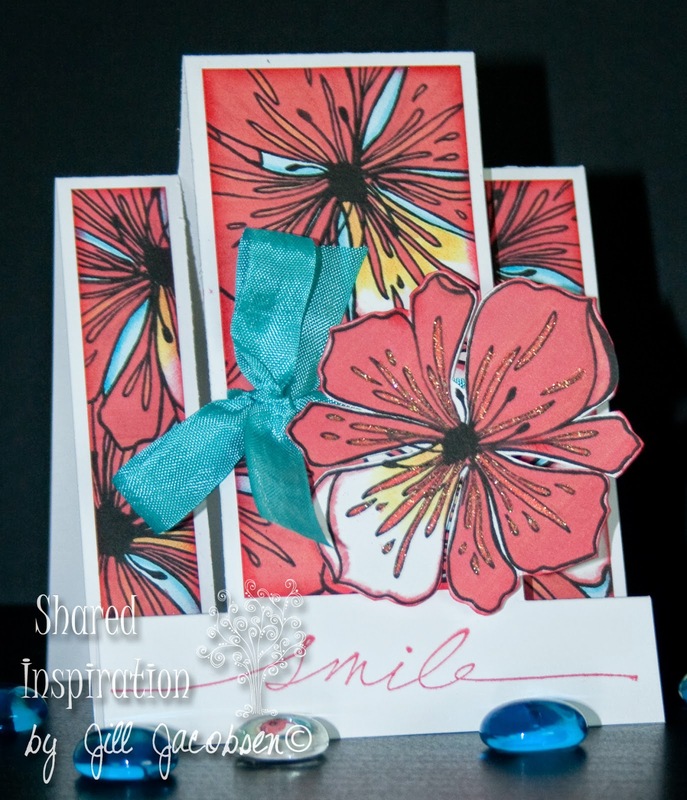 And the third card is my favorite because it is one of my first digital stamps and it is a royal poinciana bloom....these trees are in full bloom now in Florida and are my absolute favorite blooming tree...they are sooo brilliant. And since this is my first digital stamp for a limited time you can receive the single bloom for FREE....just purchase it for $0.00 and it will allow you to download it. So don't wait...reserve your seat today!